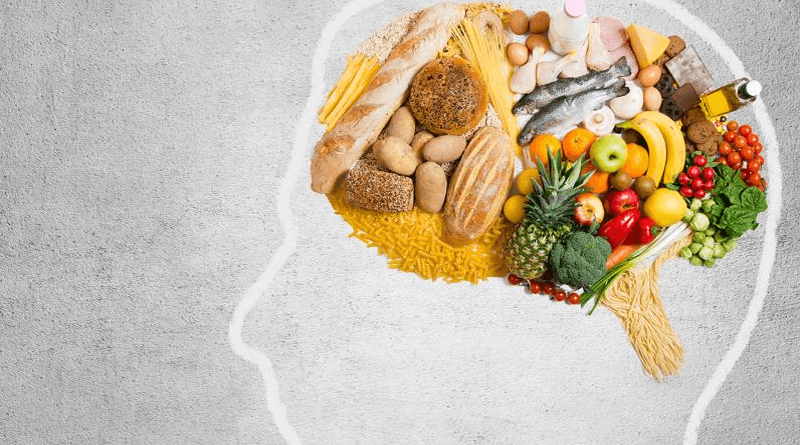 For all the mysteries of the human brain, one thing seems clear: The brain needs nutritious foods, just like the rest of the body. Research suggests that a healthy diet may support and even stimulate mental abilities and slow the advance of neurodegenerative disorders. Indeed, studies find that many foods enhance intellectual capacities such as memory, motor skills, attention and learning. Such foods may influence brain functions by stimulating signal transmission, improving blood flow or decreasing inflammation in the brain. We already know some of the common brain boosters. Multiple studies show, for instance, that caffeine improves cognitive performance. Mainly, caffeine maintains brain functions required for long-term activity, keeping people alert and focused. These effects show up at a moderate caffeine dosage of 40 milligrams. According to recent research, for example, caffeine supports performance abilities and reduces tiredness in game players (Dietz & Dekker 2017). We don’t have to get our caffeine from coffee, though; tea also enhances brain activity. Of all the natural drinks, green tea appears to be one of the healthiest beverages for enhancing mental processes. It stimulates cognitive abilities such as memory, focus and concentration, and it helps reduce stress (Dietz & Dekker 2017). Furthermore, the key active nutrients in tea—epigallocatechin-3-gallate (EGCG) and L-theanine—help the brain by inhibiting free radicals (Feng et al. 2012). Nuts, seeds and olive oil, healthy components of many traditional diets, are also good for the brain. Oleic acid and polyphenols, nutrients in nuts and olive oil, maintain brain functions by affecting distinct mechanisms in the central nervous system. Oleic acid diminishes inflammation, while olecanthal, a phenolic component of olive oil, helps prevent Alzheimer’s disease. Polyphenols promote nerve growth and strengthen blood flow in the brain. Moreover, nuts and seeds contain vitamins E and B6 and fiber. Independent of age, people who eat walnuts demonstrate better memory and quicker reaction times than those who avoid nuts (Arab & Ang 2015). Con­sumption of Brazil nuts has been shown to enhance verbal fluency, drawing ability and executive function at an older age (Rita Cardoso et al. 2016). Fish is another paramount component of many healthy diets. Salmon, mackerel and herring, in particular, contain omega-3 fatty acids that activate nerve growth and suppress nervous system inflammation. Therefore, fish oil is considered a natural brain-boosting supplement (Dyall 2015). Fruits and vegetables remain crucial to maintaining a healthy mind and decelerating brain aging. Several studies report that high consumption of fruits and vegetables lessens risks of atherosclerosis and stroke, consequently preventing mental deterioration (Larsson, Virtamo & Wolk 2013). For instance, eating the carotenoid lutein in verdant vegetables improves cognitive functions such as verbal skills in the elderly (Johnson 2012). Among natural foods derived from root vegetables, beetroot juice is an exceptional source of nutritional nitrate, which normalizes blood pressure and stimulates blood supply in the brain. Consuming beet juice has been shown to modulate cerebral blood flow and boost intellectual performance (Wightman et al. 2015). A study published in the British Journal of Health Psychology associated consumption of fruits and vegetables with increased curiosity and creativity (Conner et al. 2015). For a more detailed list of beneficial foods, see “Foods Affecting Cognitive Abilities,” below. Several studies report a positive link between breastfeeding and the mental abilities of children. Recent research from the United States and Switzerland claims that breast milk is superior to formula in its effects on cognitive development in infants (Deoni et al. 2018). Scientists have found that breastfed infants have higher verbal and nonverbal skills than children who consume only formula. Another study reports an association between extended breast­feeding and thickness of the cerebral cortex (Kafouri et al. 2013). Moreover, breastfed children have been observed to have greater head circumference than formula-fed children (Herba et al. 2013). Breastfeeding has also been linked to higher white-matter volume in teenagers (Isaacs et al. 2010). Can vitamin supplements affect mental development in the womb and throughout childhood? Multiple trials say yes. Pregnant mothers’ intake of micronutrients can stimulate the development of motor skills, concentration and other intellectual capacities in children through preschool (Prado et al. 2012). Moreover, a study published in the American Journal of Clinical Nutrition suggests that micronutrients enhance intellectual skills during childhood. Studies in which children were given multivitamin supplements have also shown promise, suggesting that micronutrients stimulate fluid intelligence (Eilander et al. 2010). Many people want to improve their memory. Can foods help us remember things better? Perhaps. Several studies identify foods that may boost memory in healthy adults. Research reviewed in the British Journal of Nutrition suggests that fruit flavonoids in berries may enhance memory via activation of brain blood flow (Spencer 2010). Regular intake of omega-3 fatty acids, folic acid, vitamins and beta-carotene is also recommended for maintaining memory capacities. Aging affects all of our organs, and the brain is no exception. Consumption of green vegetables, beans, berries, nuts and olive oil may prevent the development of Alzheimer’s disease. Also, resveratrol, a nutrient in berries and grapes, can enhance memory skills in older individuals with excess weight (Witte et al. 2014). Scientists at Brigham and Women’s Hospital and Harvard Medical School in Boston report that eating blueberries and strawberries helps prevent age-related mental decay; moreover, the study determined that anthocyanins (polyphenol compounds in berries) may prevent mental decline by up to 2.5 years (Devore et al. 2012). High intake of curcumin, a natural compound in the dietary spice turmeric and a prominent component of Middle Eastern and Indian cuisines, has been associated with low prevalence of Alzheimer’s disease and with enhancement of brain functions (Chen et al. 2018). The importance of vitamins to brain health is indisputable. Foods rich in vitamin B improve different types of memory in middle-aged people. Supplementation with vitamins B, D and E may help patients with Alzheimer’s disease. Intake of B vitamins—such as folate, B6 and B12—diminished degeneration of several brain regions typically affected in older patients with memory disorders (Douaud et al. 2013). Vitamin B12 deficiency has been associated with faster cognitive decline in older adults (Skarupski et al. 2010). Vitamin D has also been shown to prevent cognitive deterioration. Researchers at Tufts University in Boston found an association between vitamin D deficiency and dementia (Buell et al. 2010). Research has shown that consuming vitamins E and C enhances cognitive performance and decreases depression in the elderly. Since vitamin E is known as a potent antioxidant and anti-aging nutrient, it may be involved in the maintenance of brain functions. One clinical study found that vitamin E may prevent men­tal degradation (Dysken et al. 2014). Among minerals, magnesium is crucial to normal activity of the brain. A lack of magnesium leads to an elevated level of free radicals and a decline of antioxidants in the nervous system, as well as to neuronal damage and local inflammation (Barbagallo & Dominguez 2010). Several studies have shown that magnesium helps treat neurodegenerative diseases (Ozturk & Cillier 2006) and improves memory in mouse models of Alzheimer’s disease (Huang et al. 2018). Giving iron supplements to adults with iron-deficient anemia significantly improves cognitive performance; this suggests iron has a high value for brain function (Khedr et al. 2008). Is age-associated cognitive decay inevitable? Can diet prevent mental deterioration as we age? Nutritional research shows that various healthy diets may prevent mental decline and dementia. It has been suggested that the Mediterranean diet can be protective against neurodegenerative disorders such as Alzheimer’s disease and Parkinson’s disease. In one study, following the Mediterranean diet—which is defined by high consumption of fruits, vegetables, olive oil, fish and nuts—was found to decrease participants’ risk of stroke, a dominant cause of cognitive decline, by 46%. The elderly participants who consumed this diet demonstrated enhancement of memory and other mental functions (Pribis & Shukitt-Hale 2014). Interestingly, eating walnuts is specifically associated with memory enhancement. Recent research also reports a link between improved mental functions and consumption of polyphenols (Kesse-Guyot et al. 2012). For instance, flavanols, a subgroup of polyphenols in cocoa, expand brain blood volume and promote mental functions (Brickman et al. 2014). Seafood, one of the core components of the Mediterranean diet, has been shown to reduce pathological changes in the brain of patients with Alzheimer’s disease (Morris et al. 2016). Combining the Mediterranean diet with dietary approaches to stop hypertension also suppresses the progression of Alzheimer’s disease (Morris et al. 2015). In addition, a ­calorie-restricted diet may decrease the risk of developing Alzheimer’s disease (Ramesh et al. 2010). Furthermore, weight loss in middle-age and older adults with obesity improves their cognitive abilities and motor skills (Siervo et al. 2012). Dietary adjustments may help with other mental disorders. Following a Mediterranean or Norwegian diet—eating more fruits, vegetables, nuts and omega-3-rich foods—is suggested for patients with depression (Opie et al. 2017). Depression is often associated with inflammation in the nervous system, and fruits and vegetables, which contain many antioxidants, can be beneficial anti-inflammatory nutrients. The omega-3s in fish and vegetables also decrease inflammation and protect neurons. Diet can influence brain function and cognitive abilities at any age. Natural foods and supplements are shown to have healthy effects on fluid intelligence, memory and other mental skills. While the exact nature of these effects is uncertain, research has discovered mechanisms such as inhibition of inflammation, antioxidant actions and improvement of blood flow in the brain. Clinical trials with the elderly have helped identify nutrients that may have therapeutic benefits such as deferring dementia and memory loss. Moreover, several diets, especially the Mediterranean diet, are known to be beneficial to people with neurodegenerative disorders. We still have much to learn about the links between healthy balanced diets and the incidence of cognitive disorders. Moreover, science hasn’t fully determined the medical significance of the nutrients in these diets. It will be up to future research to answer these questions.